Digital citizenship is the concept that we need to educate our students on how to be appropriate and responsible users of technology. They need to learn how to keep themselves and their personal information safe. Void of emotion, they need to also learn how to be respectful to others online. This includes netiquette and how to deal with bullying, whether they're the target or a bystander. 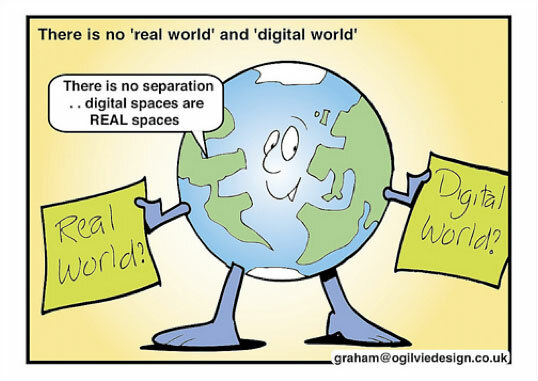 Image sourced from Ollie Bray free internet safety and responsible use cartoons.